1. I Can Get You The #1 Position On Google. Why this lie continues to perpetuate, I’ll never understand. Hear this, and hear it well: no one can guarantee rankings on search engines. Except maybe Google, but you’re not Google, and neither is that guy you hired to work on your SEO. Google’s Webmaster Guidelines state very clearly that you should be wary of SEO firms and web consultants or agencies that guarantee a #1 ranking on Google. Be very skeptical of anyone who promises you top positioning. 2. Every Industry Is The Same In The SEO World. I Don’t Need Specific Experience In Your Field. Ideally, the SEO professional you work with will have expertise in your field. The truth is that all industries are not equal in the SEO world. Some, like business services, are much more competitive for top keywords — others, like manufacturing, are less competitive and therefore easier to dominate. Unless you’re in a very small niche that no one will have experience in, keep looking until you find an SEO expert who has a proven track record in your field. 3. Duplicated Content Is Fine. The person or firm you hire to help with SEO may or may not also be a content marketing expert. It helps if they’ve got skills in both areas, because content is essential to your SEO strategy. No matter how awesome or well-written it may have been, re-posting an article you published elsewhere on your own blog is not a good idea. This is due to duplicate content filtering and the effects of the Panda 4.0 algorithm which launched a few weeks ago. 4. The More Links, The Better. Just a few years ago, SEO “experts” would use many spammy tactics for acquiring links to their clients’ websites, and Google largely permitted it. Though it wasn’t officially allowed by Google, Google did nothing to penalize those who were doing it. And the sad truth is that those tactics worked extremely well. 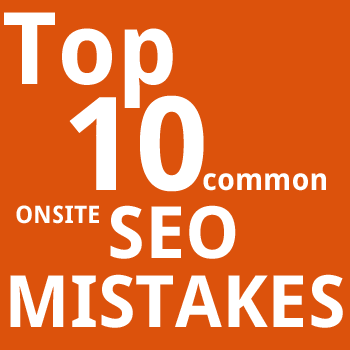 As such, SEO was mostly a popularity contest driven by the number of inbound links you had to your website. Those days are gone, so don’t let anyone tell you differently. While the acquisition of inbound links is still an important part of any SEO strategy, Google has shifted their emphasis from quantity to quality. Large quantities of spammy inbound links can now harm your rankings — or even get you slapped with a manual penalty. 5. The More Keywords, The Better. While keyword density (what percentage of the total copy of a page your keywords comprised) was a major buzzword a few years ago, the focus now is on using a variety of keywords and their variations (known as long-tail keywords) sprinkled naturally throughout the body copy. “Naturally,” you will note, does not mean that every third word is that keyword. Don’t work with anyone who tells you differently. 6. I’ll Submit Your Site To Hundreds Of Search Engine Directories. And you’ll be wasting my time. Yes, while you can submit your site to the major search engines, this will yield absolutely zero benefit. There are not hundreds of legitimate directories you want to be found on. Honestly, there never were. This tactic can actually trigger an unnatural link warning or penalty from Google, so stay far away from anyone who says they’ll do any link building or “submissions” on such a large scale. 7. My Techniques Are Too Complicated To Explain. You may not be a tech head, but you are perfectly capable of understanding how someone you’re paying money to can improve the rankings of your site. In all honesty, it’s not complicated at all. Good SEO campaigns are the result of the successful melding of what I call the Three Pillars of SEO: Content, Links, and Social Media. Each pillar is not complicated nor difficult; it’s just a matter of having the resources to implement each, and the expertise to implement each according to best practices. 8. You Don’t Need To Worry About Google Algorithm Updates. The truth is, we all need to at least be aware of them and how they change the industry. In general, if you’re practicing above-board SEO strategies that involve producing useful and relevant content in order to build your brand organically and naturally, you should be fine. But still keep your ear to the ground on what Google’s up to. Here’s a handy resource for keeping track of each Google algorithm update, when it occurred, and what it changed: Google Algorithm Change History. 9. All You Need Is SEO. No marketing plan will succeed if it’s focused on a single marketing discipline. Your website rankings can improve through your active presence on social media, consistent blog posts, and even your offline marketing efforts. Don’t put all your eggs in one basket, but ensure that each piece of your marketing strategy maximizes your SEO benefits. 10. I‘ll Get Your SEO Fixed In A Month For A Flat Rate. SEO is not a “set it and forget it” strategy; it needs ongoing attention. Remember that SEO does not happen in a vacuum. Your competitors are constantly working to improve their SEO, so if you stop doing so, you’ll fall behind. Certain one-time projects can be extremely beneficial, such as initial SEO website audits, link profile audits, and professional keyword research. But these should be treated as foundations and starting points of successful ongoing SEO campaigns. Ultimately, you need someone who’s willing to work with your company for the foreseeable future and make recommendations for improvement as you go along. This entry was posted in SEO and tagged Position On Google., seo, SEO campaigns., SEO Fixed, SEO World.